This picture shows one of our expert technicians preparing equipment to be moved into a flooded school. SERVPRO Of Marysville/Arlington is always ready to help, so don't hesitate to call today! 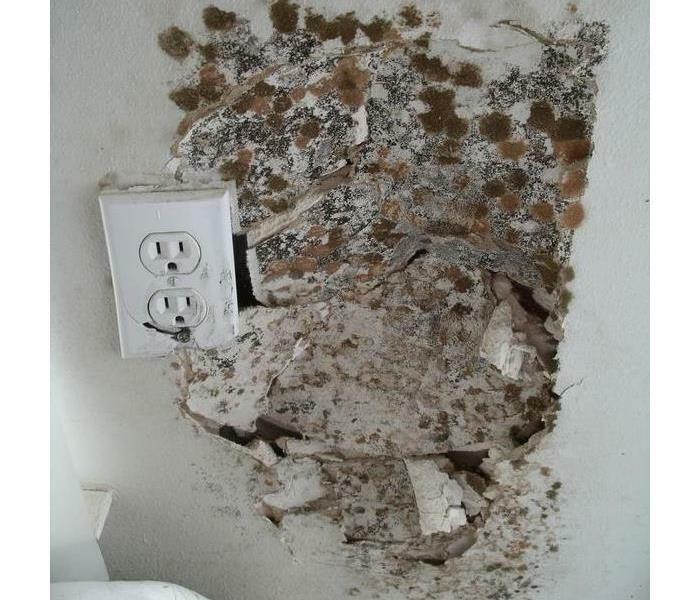 You can see the mold growing in the corner of the ceiling of this Camano island home. The Crews from SERVPRO of Marysville/Arlington were able to mitigate the damage and ensure the mold spores didn't spread any further. 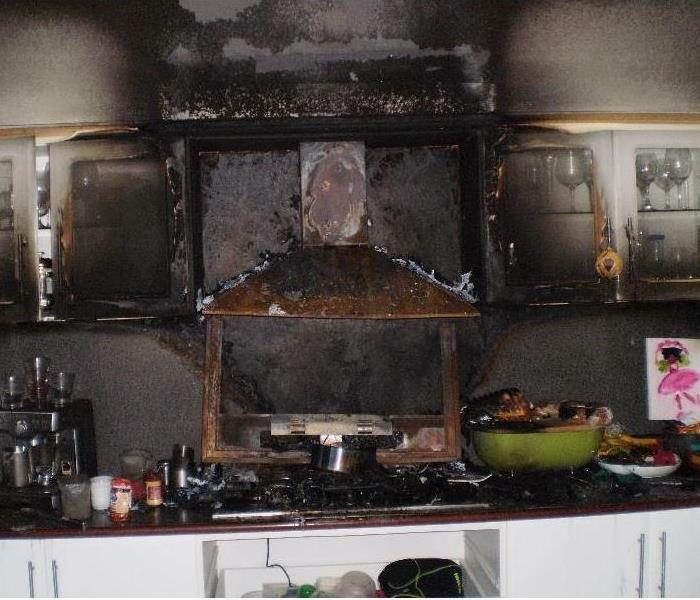 This kitchen fire was caused by a malfunctioning microwave. 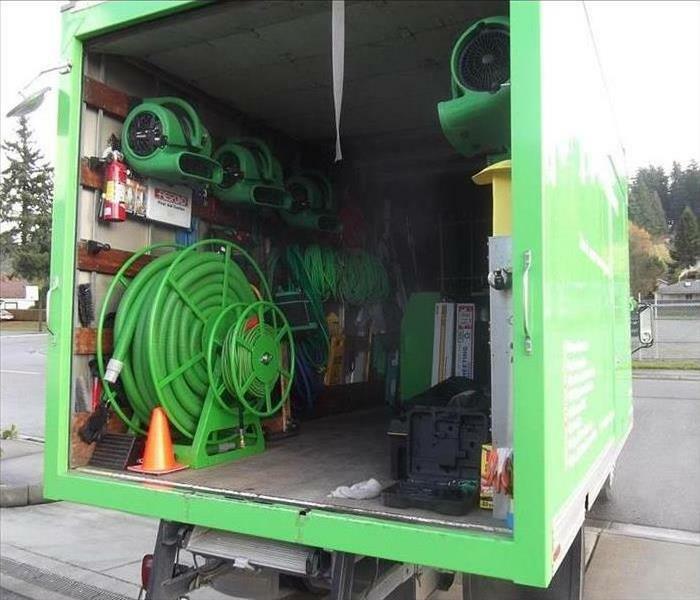 SERVPRO of Marysville/Arlington was able to get out and extract the water the fire department had sprayed. 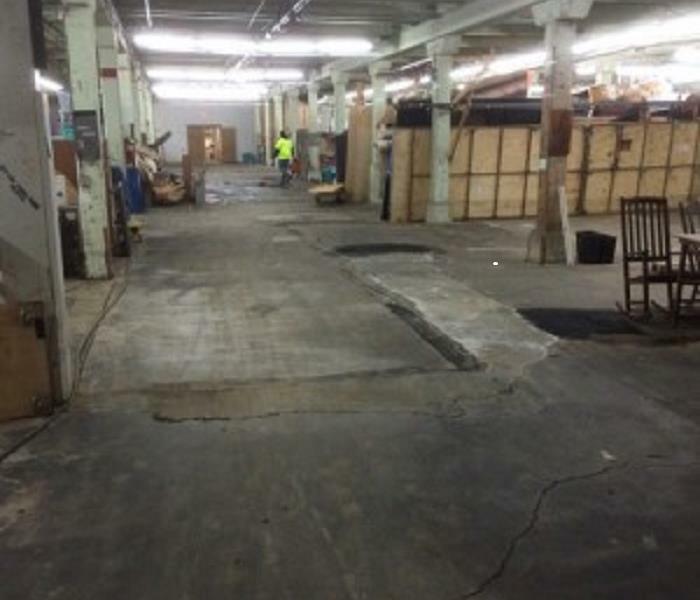 We were also able to do the restoration of the fire damage. 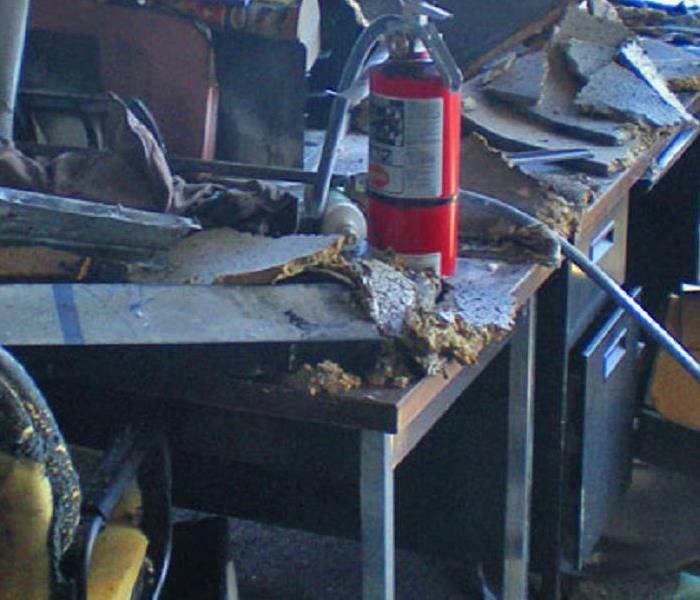 This photo shows the after effects on the contents of a business after a devastating fire. 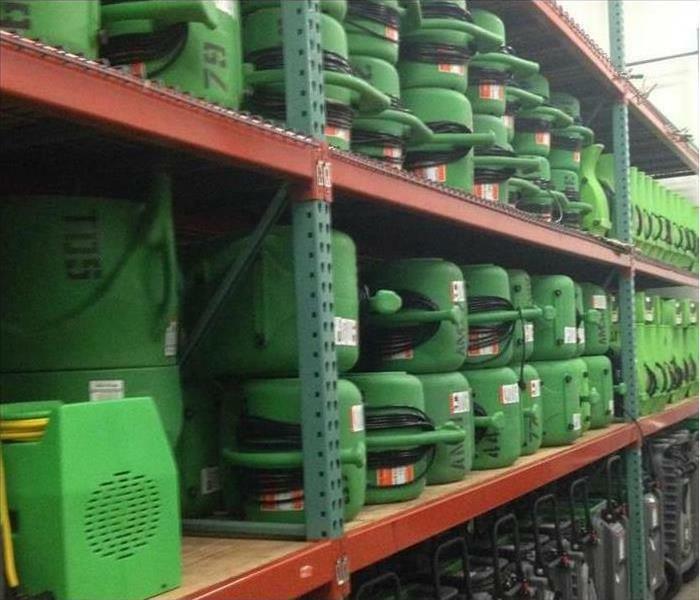 SERVPRO of Marysville/Arlington was able to take all salvageable contents to our warehouse and professionally clean them. 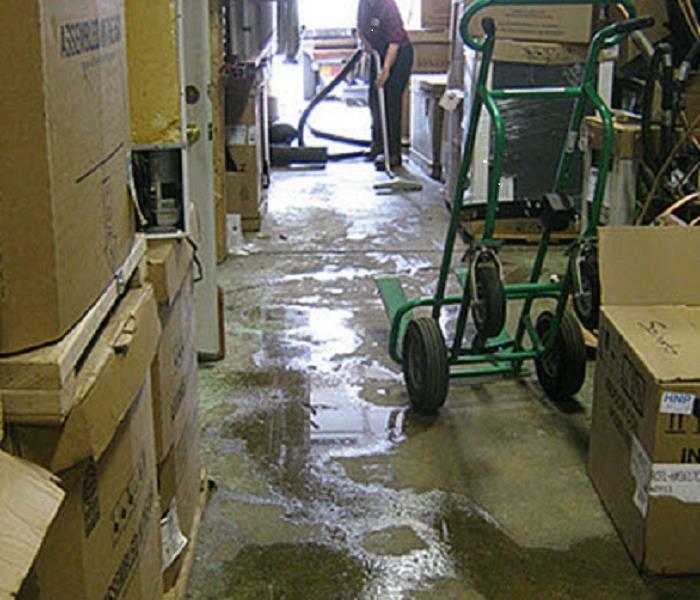 This flooded warehouse in Marysville caused significant headache for the owner who needed to get up and running again as quickly as possible. The professionals from SERVPRO of Marysville/Arlington were able to get the job done! 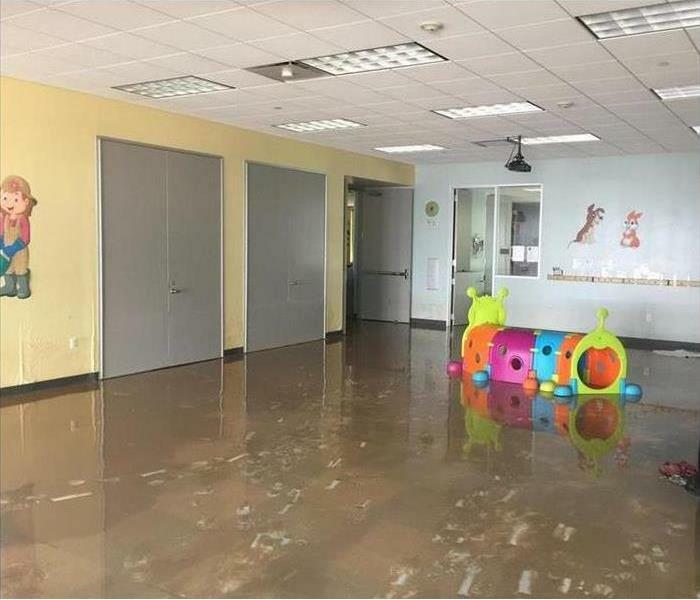 This flood in a daycare kept them closed for several days. 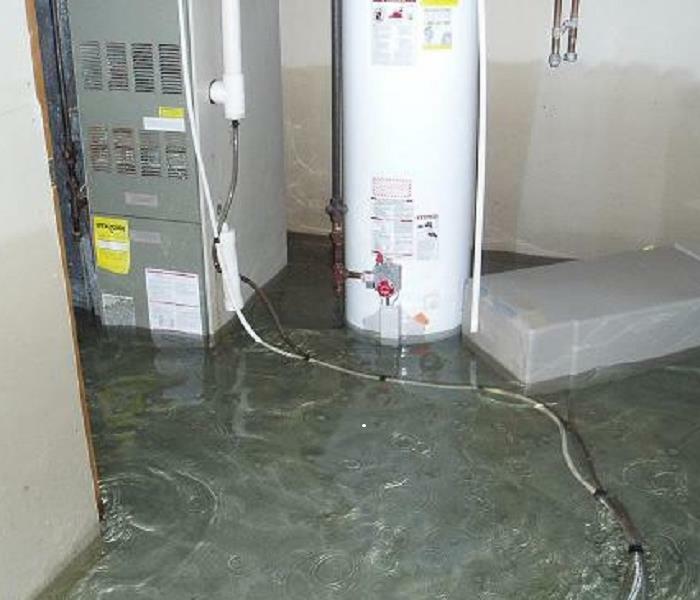 They were in a rush to get open again ASAP, and the experts at SERVPRO of Marysville/Arlington were able to come in and get the job done quickly! 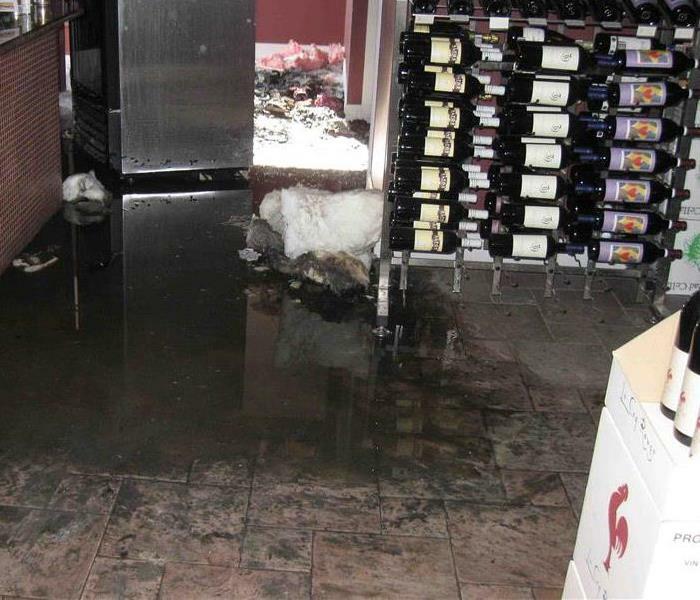 This flooded clothing store in Skagit County caused a major headache for shoppers and the employees. SERVPRO of Marysville/Arlington was able to get crews out there quickly and get the water extracted promptly. This storm damaged store luckily called SERVPRO of Marysville/Arlington Quickly. Our expert crews are on call 24/7 hours a day, 7 days a week for any such disaster. Don't hesitate to call us now. 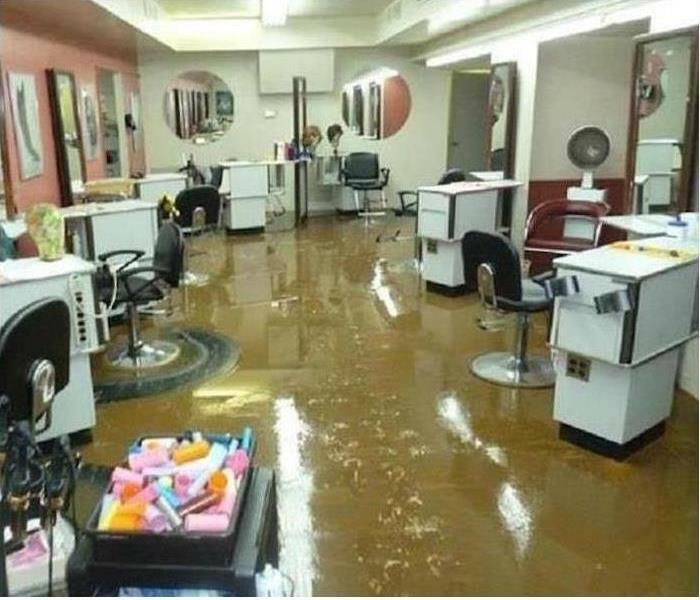 This flood at a hair salon was a result of a plugged drain. The faucet was also accidentally left on over night. Luckily we were able to come in and assist with the drying and restoration. 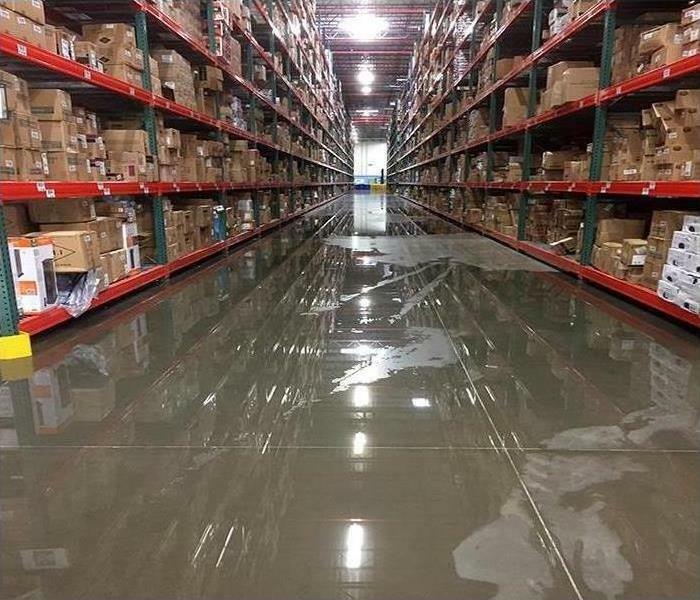 This flood at a warehouse was due to a leak in the foundation and groundwater coming in over a long holiday weekend. 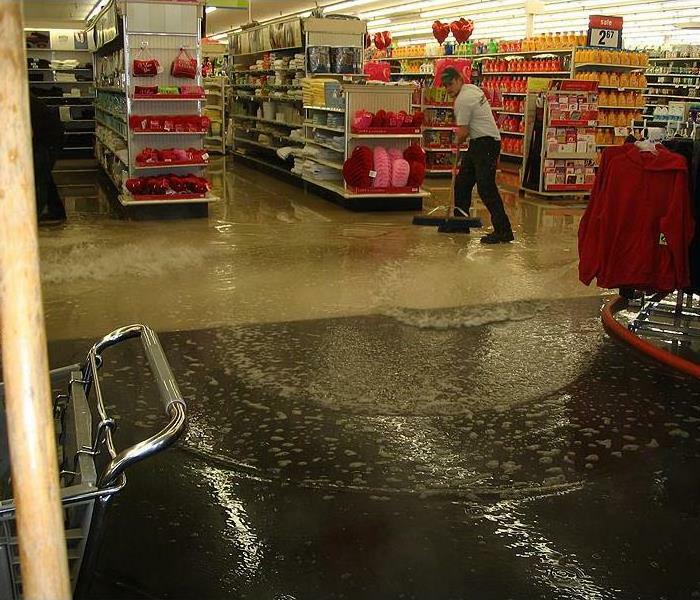 We were able to come in and stop the water before it reached anything valuable. 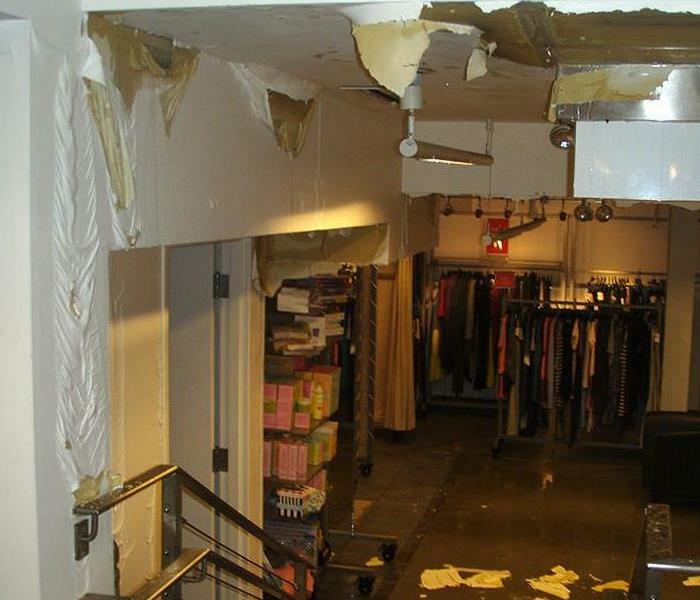 This flood at a clothing store was caused by severe rains that caused the roof to collapse. We were able to get in and clean up the standing water and assist them in getting their contents cleaned. This flood was due to unknown circumstances. We were able to get in and get the standing water cleaned up promptly and the business was open for business by the next day. 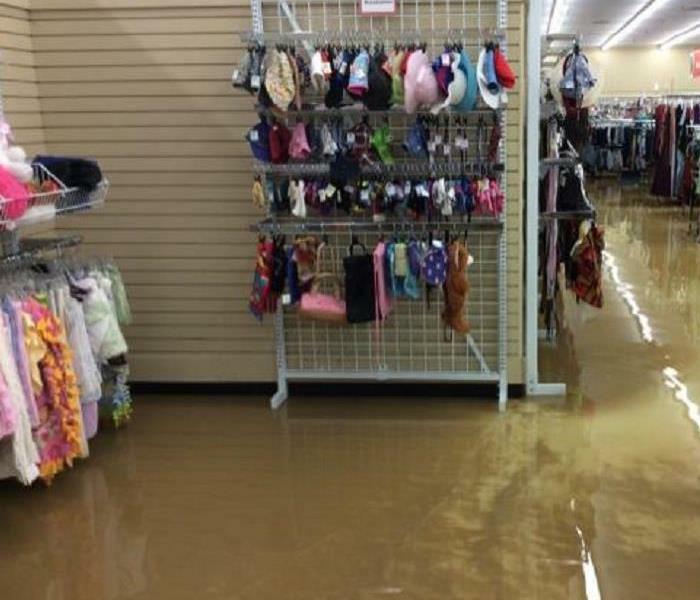 This was a flooded basement in a clothing store. 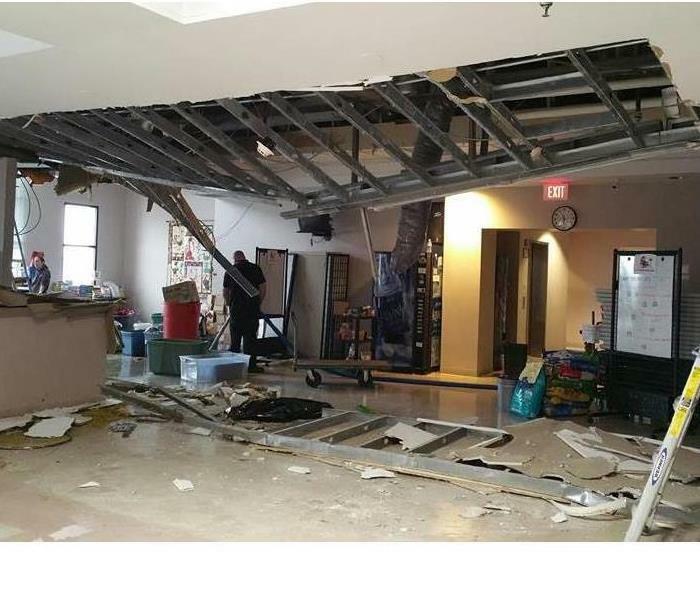 Standing water from a storm in the upstairs had caused the ceiling in the basement to collapse. Our crews were called in the morning following the flood. One of our technicians in the process of mitigating water in a warehouse. Luckily the business owner called us quickly and we were able to get crews out their within 4 hours to begin drying. 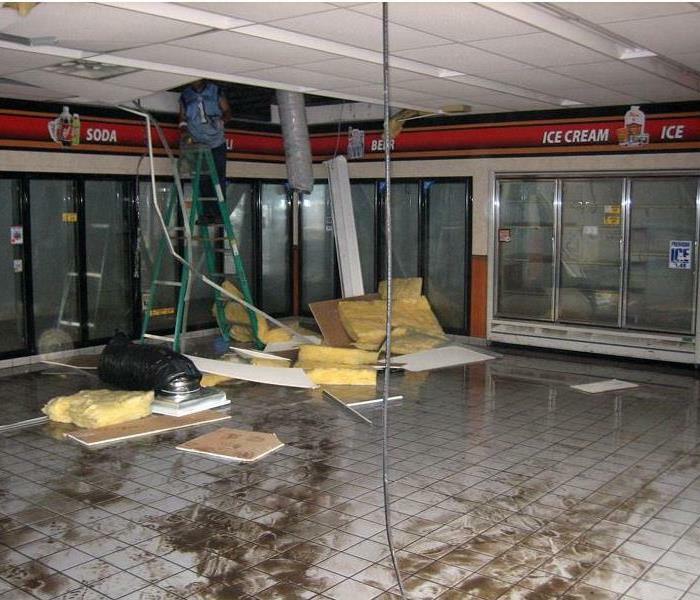 This was the after effects of a storm at a gas station convenience store. 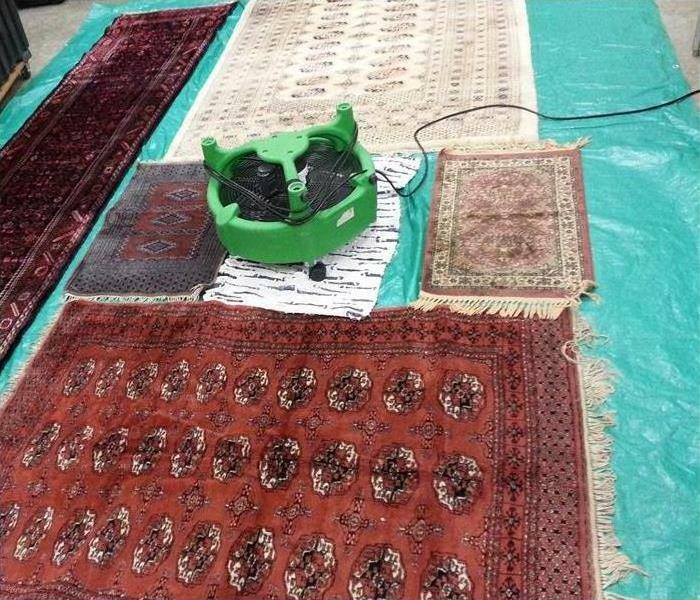 This picture shows us in the process of drying and cleanup. We were happy to come out early in the AM to help the business owner clean up. 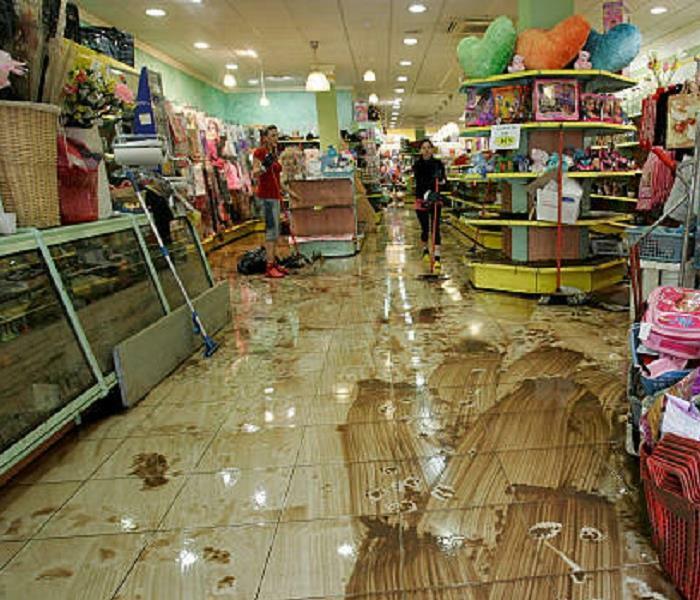 This flood at a large retail store was a result of a massive rain storm in October. This picture was taken by the business and sent to us as a early warning for what were were coming in to. We were able to get this cleaned up quickly. This flooded basement was after a massive rain storm. The water was ankle deep, the homeowner was obviously in a panic when she called us. We scrambled crews to her ASAP and got things dry quickly. 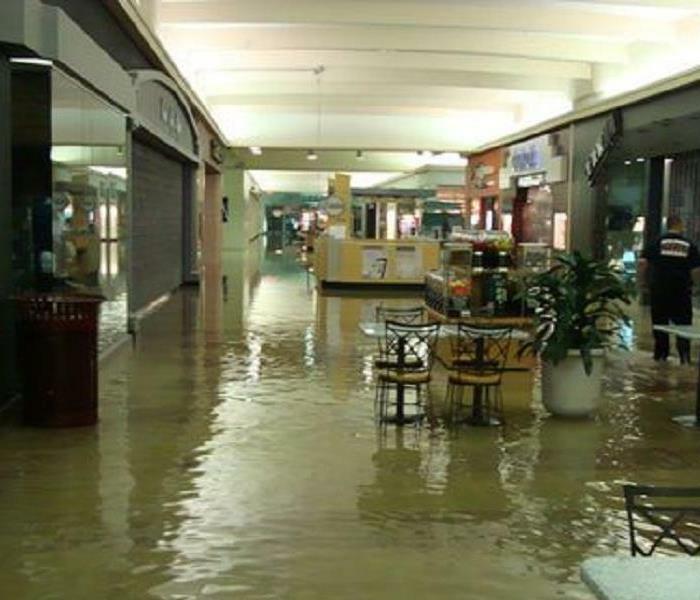 This flood in a mall in Skagit county was a result of a rainstorm, this affected several businesses. We were able to get teams from several other SERVPRO Franchises to assist us. This mold was discovered upon peeling back of wallpaper. 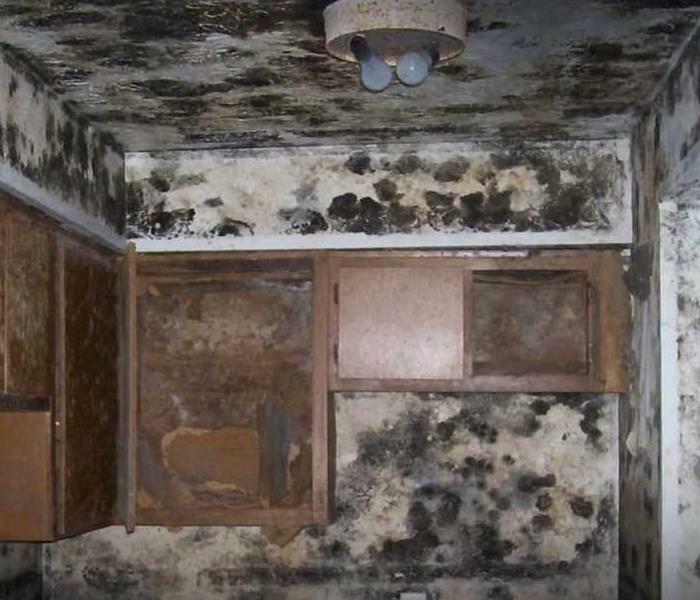 Just because you cant see the mold doesn't mean it isn't there. 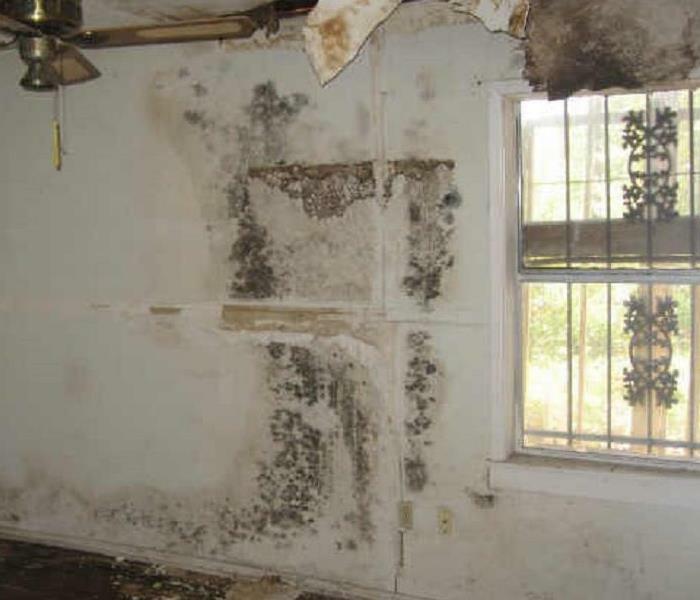 Call the experts of SERVPRO of Marysville/Arlington to help you with your mold problems, no matter how big or small. SERVPRO of Marysville/Arlington has all of the tools at its disposal to make any disaster "Like it never even happened." 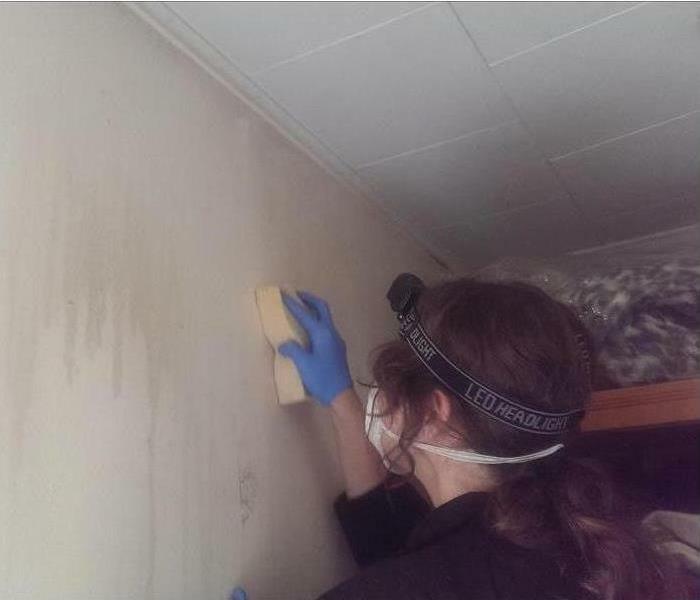 Pictured is Heather doing a first pass over of a structural fire cleaning job with a SERVPRO Dry Cleaning Sponge. 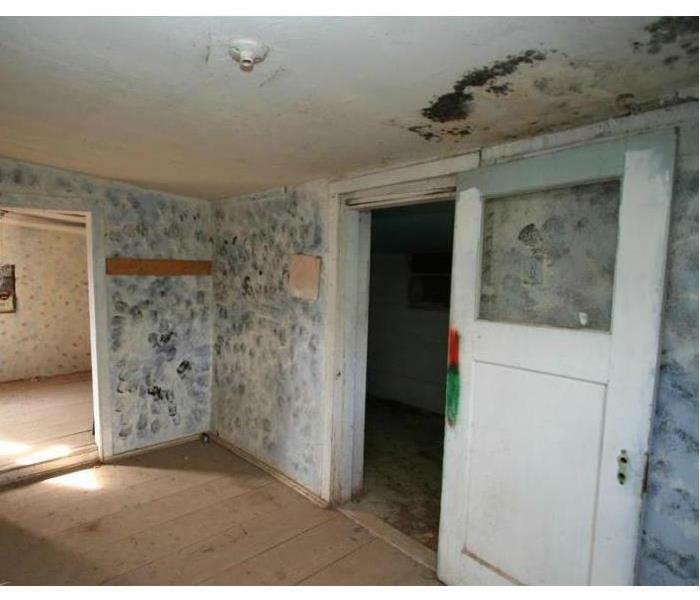 This is obviously a very extreme case when it comes to mold. 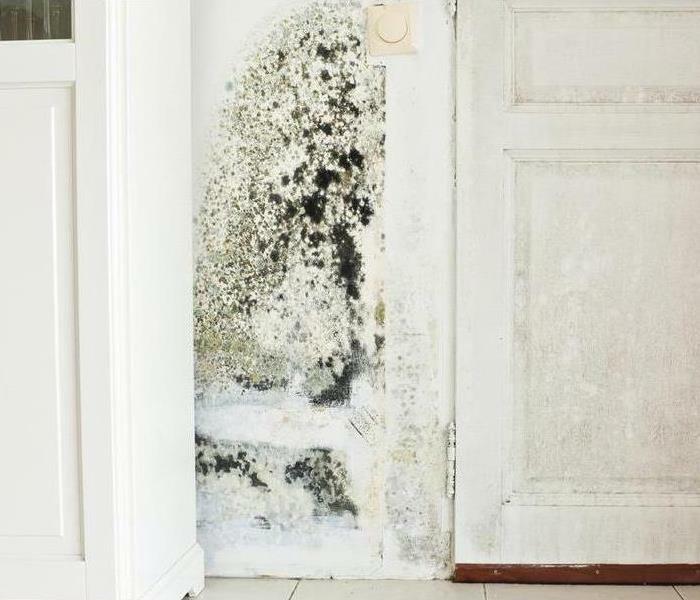 Mold grows rapidly with time and before you know it a little problem can become a big problem. 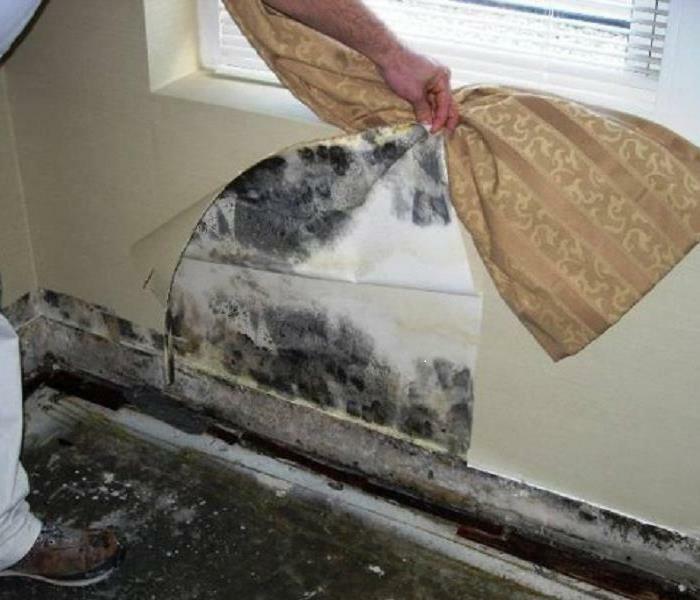 Call the experts at SERVPRO of Marysville/Arlington to help prevent a issue such as this. This mold had grown inside the wall near the electrical socket. This is not only unsightly but also potentially dangerous. 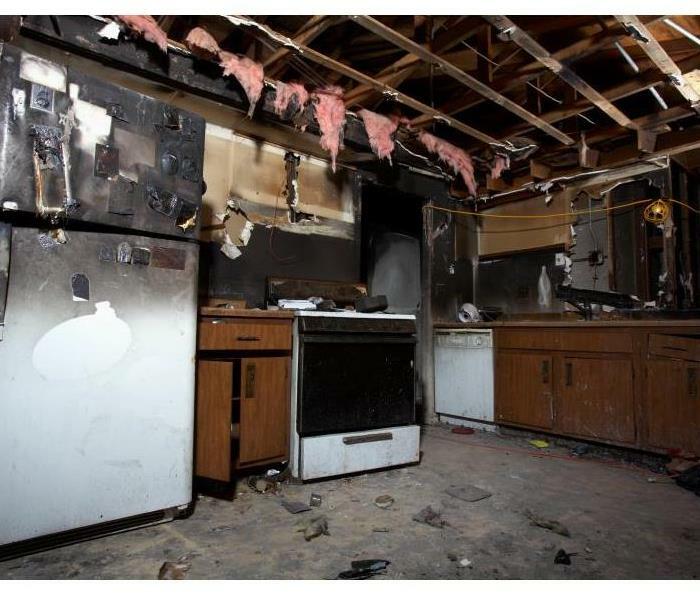 Calling SERVPRO of Marysville/Arlington is a reliable way to ensure this gets cleaned up professionally. This was a flood caused by a overflowing bathtub. A little problem can turn into a big problem in a blink of a eye. Call your friends and allies at SERVPRO of Marysville/Arlington to assist you. At SERVPRO of Marysville/Arlington we don't stop at water extraction. We see the job through, and make sure that as many of your possessions are restored back to pre-disaster condition as possible. If you have any questions feel free to call us today! Dave V. is working hard at making sure that our equipment is clean and well maintained! The last thing you want is materials from another restoration contaminating your home! When using SERVPRO of Marysville/Arlington you will never have to worry about cross contamination from mold, fire and water. 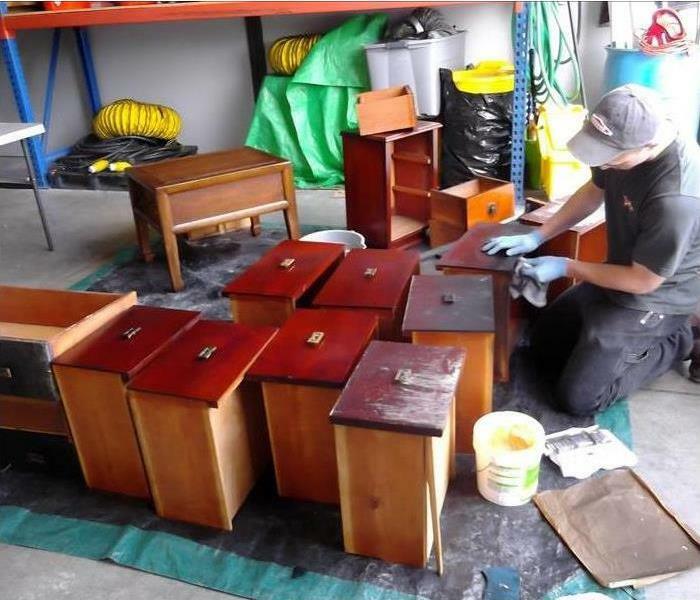 At SERVPRO of Marysville/Arlington we understand that many of your possessions are priceless, which is why we put all of our effort into restoring as many as possible as quickly and efficiently as possible. SERVPRO of Marysville/Arlington is fully capable of providing service on your boat! We will take care of water & fire cleanup and restoration, mold remediation, biohazard cleanup, and more! 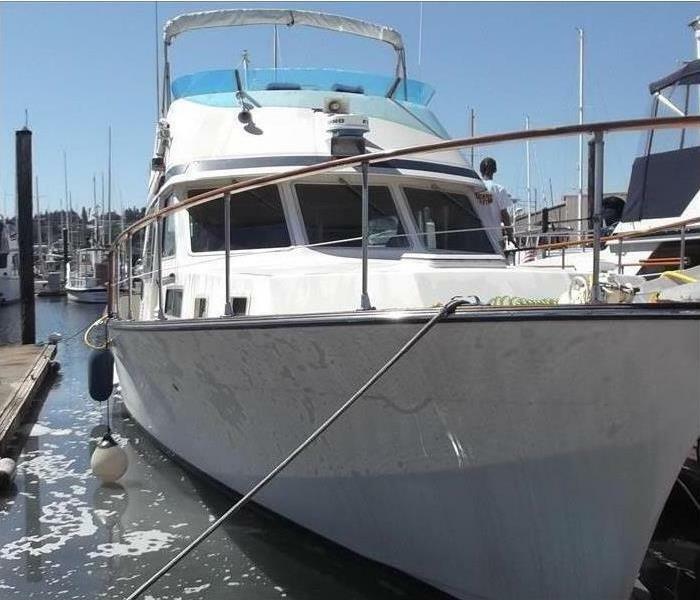 Call SERVPRO of Marysville/Arlington for your boat cleanup needs! 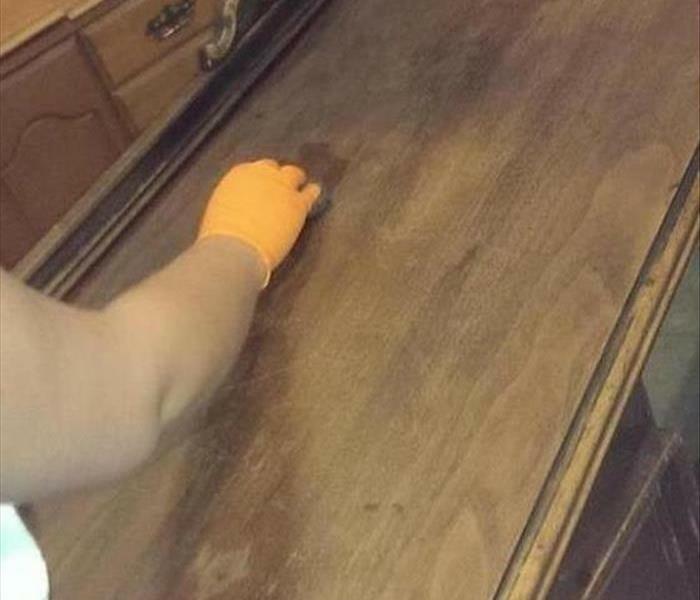 This SERVPRO certified technician is restoring this dresser back to its pre-disaster condition! At SERVPRO of Marysville/Arlington we take pride in our ability to restore your precious possessions! 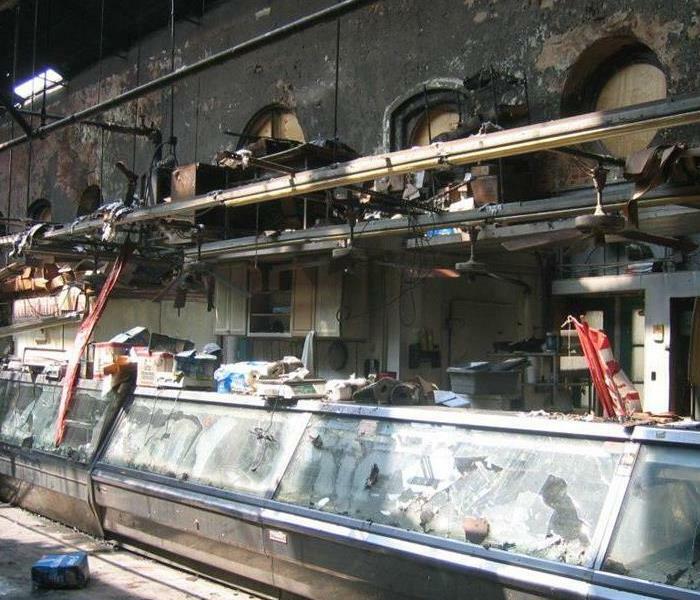 Call SERVPRO of Marysville/Arlington today for your Fire & Water Cleanup and Restoration needs! 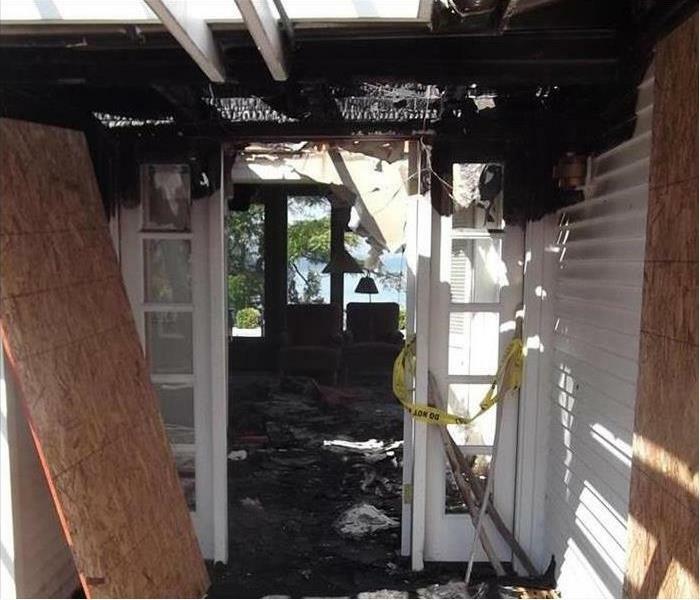 After a devastating fire, the owners of this home had no idea what to do! 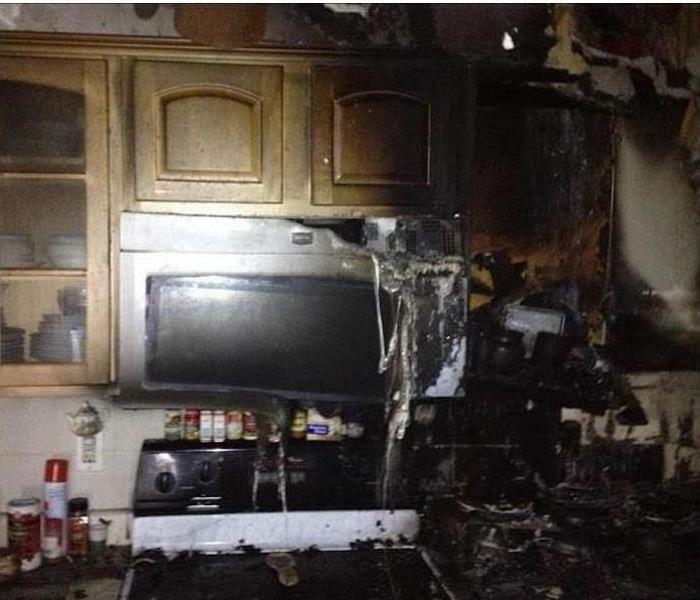 Luckily they were referred to SERVPRO of Marysville/Arlington, who were able to make this disaster "Like it never even happened." Are you prepared? SERVPRO is. 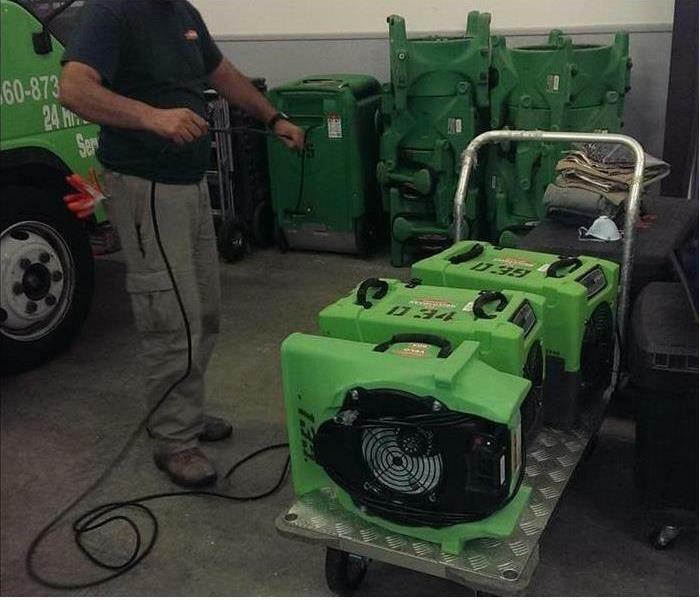 No matter the size of the disaster, SERVPRO of Marysville/Arlington is prepared. 24 hours a day, 7 days a week, and 365 days a year. 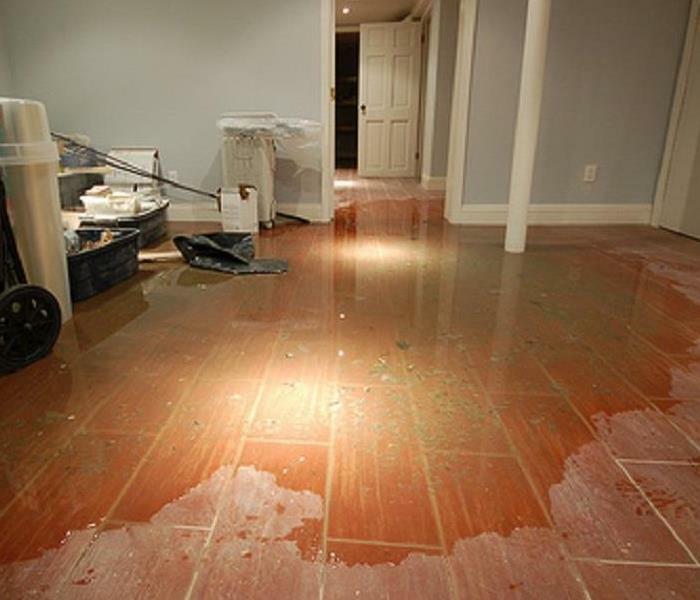 When disaster strikes, call SERVPRO of Marysville/Arlington! Our hard working team cleaning contaminates from a Skagit County Sherrif's Vehicle. There is no job too big and no job too small for our experts at SERVPRO of Marysville/Arlington.